Phoebe asks Joey to give her away at her wedding. Monica’s the wedding planner and she’s driving Phoebe nuts. Chandler and Ross discover at the rehearsal dinner that neither of them has a part in the wedding. 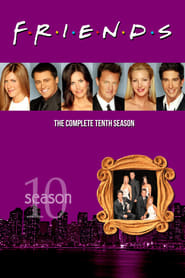 However, Mike needs to replace a groomsman, so he lets Phoebe choose one of them, although she gives the job to Rachel. Joey takes his role as the bride’s dad way too seriously. Phoebe fires Monica. The day of the wedding, New York is hit with the worst snowstorm its seen in 20 years. Phoebe rehires Monica, and the wedding ends up taking place in the street outside of Central Perk. When the priest can’t make it, Joey steps in for him, and Chandler gives the bride away, while groomsman Ross is stuck taking care of Mike’s old dog.